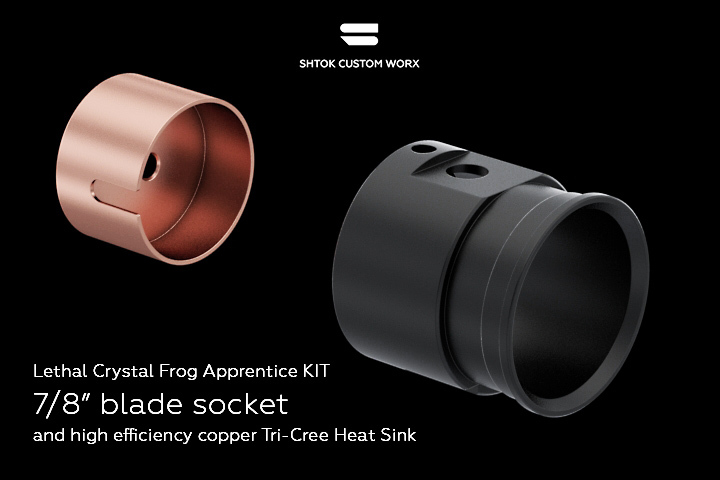 I decided to make a limited run of my "direct replacement" new blade sockets (holders) and copper heat sinks (that will go straight into the default brass "radiator style" LED holder) to replace a stock thin aluminum one (for much better Tri-Cree LED cooling performance) for all who own Lethal Crystal "Frog Apprentice KIT"! They also work with a Bolsey flash. Or just for some custom build. 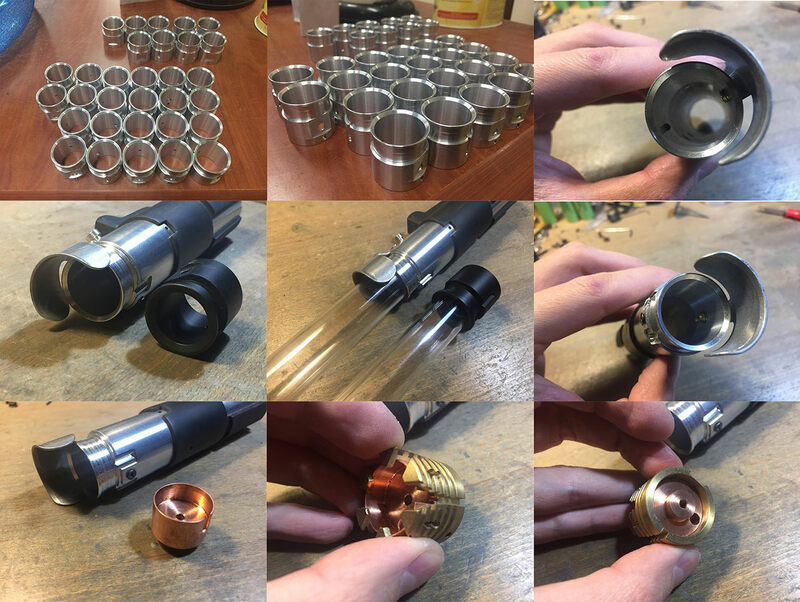 Only 6 sets left, price is $50 USD for a set (new 7/8" blade socket + new copper heat sink) + $10 international worldwide shipping. I also have just 10 of 7/8" sockets without a new heat sink - for $30. A little assembly warning: with a new 7/8" blade socket all 3 default blade socket greeblies and screws must be custom shaved down (shortened) because of a bigger 7/8" blade socket ID. ^^^ Frog Apprentice Saber with a 7/8" blade on the left and with a default 3/4" blade on the right. Screenshots from the movie. 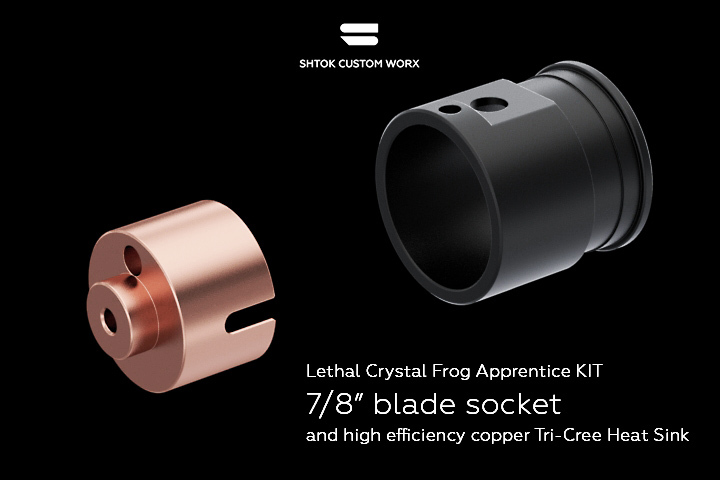 UPDATE (08/09/2018): 7/8" blade sockets and copper heat sinks are ready to ship. PLEASE SHARE TO NOTIFY MORE FROG APPRENTICE OWNERS! Update on this run! 9 sets are still available! blade sockets are now reanodized with a proper matte black finish! Now available to order!